The Declaration of Independence has been fit onto one page in this printable template with a frayed parchment background. 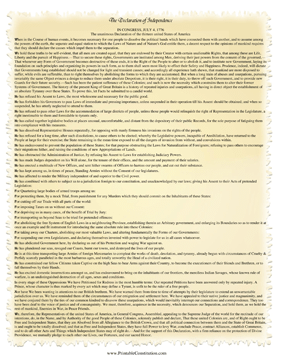 This Constitution or Founding Document is easy to download and print. The PDF version can be printed using any PDF viewer. If you don't see a Constitution or Founding Document or category that you want, please take a moment to let us know what you are looking for.